A Holistic Take on the New Whole Foods | Macleod & Co.
Why are the avocados so damn expensive? You’re going to complain, but you’re still going to buy them. Whole Foods’ prices are high, almost comically so, but they continue to retain and grow their customer base despite the crazy prices. Well for one, Whole Foods plays into the health food craze. They may have even created it. Customers are searching for healthier options, and Whole Foods uses phrases like “natural”, “healthy”, “organic”, and “non-GMO” whenever they can. You equate healthy and organic food with a name like Whole Foods. And, well… Americans view organic foods as better. But they also managed to justify their higher prices by conveying the idea of a higher value product, which in turn has created the perception of better tasting food. Yes, more expensive food tastes better. Or at least you think it does. And Whole Foods has built their entire brand on it: healthy + expensive = better. What happens to the brand when the foundation it was built on shifts? Earlier this year, Amazon bought Whole Foods for a whopping $13.7 billion with the promise to make “America’s healthiest grocery store” more affordable. That’s great for the consumer, but is it good for Whole Foods? From a marketing standpoint, it’s uncertain. Whole Foods was built on convincing their consumers to consistently buy overpriced food with the expectation that it would taste better and be healthier. But Amazon has promised to institute major price reductions. Amazon lockers and Prime member discounts are just a few of the changes that will be popping up inside stores over the next few months. Even Echo speakers made a debut in storefronts on day one. Whole Foods’ niche was staying out of the mainstream and keeping their distance from national distributors. But they’ve started to struggle, and it’s because they are no longer filling their niche — they have become mainstream in the minds of consumers. Amazon has great brand recognition. Customer experience has long been at the core of their Prime member services, and they have managed to grow this service by 19 million users in just one year. They thrive in customer growth and satisfaction. But the major concern isn’t with their current standing with the public. What are the consequences for producers that could hurt the brand? If prices get cut for consumers, they also get cut for producers. This means that some small- and mid-sized producers will no longer be able to compete and only the large organic producers will prevail. Paying producers less will also mean the quality of the products produced will decline. The issue: quality is core to Whole Foods’ brand. To be honest, nobody knows. Time will tell if a corporate powerhouse Amazon can uphold the core values that have made Whole Foods who they are. If so, great, keep the affordable avocados coming. If not, Whole Foods may be poised to join the list of undesirable grocery stores. Written by: Sam Calcagno, Content Creator. 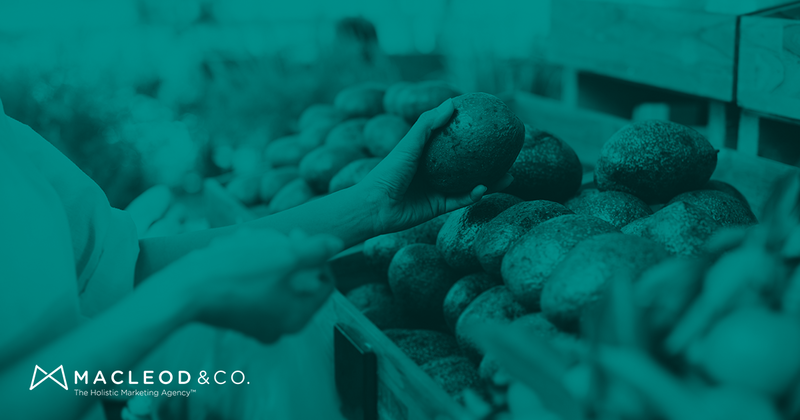 Macleod & Co. is a premier full-service Twin Cities marketing agency, with a special emphasis on digital, brand and the strategy that unites the two. We partner with businesses of all shapes and sizes, from startup hustlers to established empires, to create and execute strategies that deliver results.